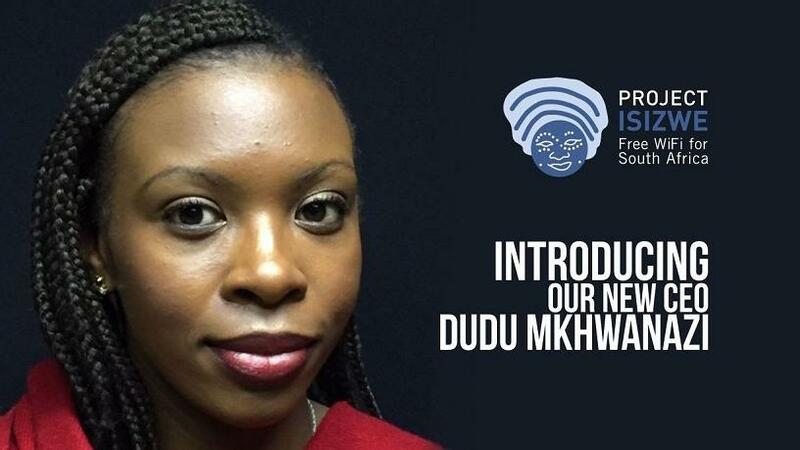 Project Isizwe CEO Duduzile Mkhwanazi. Project Isizwe, which helped the City of Tshwane pioneer its free WiFi project, is working to get citizens in mining communities online. This is according to CEO Dudu Mkhwanazi, who revealed Isizwe is working with Glencore to roll-out free WiFi hotspots in two mining towns in Witbank, namely Ogies and Phola. Mkhwanazi was reluctant to reveal the value of the partnership with Glencore, but noted this is part of the mining company's corporate social investment. The free WiFi hotspots will go live before winter, she stated. "Isizwe is now moving into the mining communities, which for me is an exciting time. Having had experience in the metros with Tshwane, the mining communities haven't really been exposed as much. This means we are becoming pioneers to be the first ones to connect mining communities to free WiFi." Project Isizwe, which describes itself as an advocate for free WiFi, has been facilitating Tshwane's free WiFi network since 2013. Dubbed TshWiFi, the city's Internet service connects nearly 600 000 citizens each month, according to Isizwe's estimates. Although Isizwe's project with Tshwane is regarded as the biggest deployment of municipal free WiFi in Africa, Mkhwanazi explained the plan going forward is to work with other corporates on projects and partnerships that go beyond municipalities and metros. According to her, in line with prioritising and advocating free Internet access for all South Africans, partnerships with organisations such as Glencore only make sense. "There is a gap with connectivity throughout the country and mining communities are the ones that are neglected and there isn't much connectivity. That is our long-term plan to scale up and provide connectivity in these communities." She pointed out the Isizwe team is already working towards establishing a high site in Witbank and the deployment process has kicked off, although the hotspots are yet to go up. "The project is going to start at a very small scale, but with the intention to scale as time goes. Just like with our other projects - it will start with phase one and it will entail focusing on these two townships, namely Ogies and Phola, and then we will obviously scale up according to what the client [Glencore] can afford and what the client will want." Similar to Tshwane's initial data offering, residents in Ogies and Phola will also receive 250MB free data per day, per device. "We plan to offer these mining communities the same freedom of Internet connectivity like what we have done in Tshwane. The communities aren't particularly exposed to too much; it feels like they are very much abandoned. What Glencore is doing is very exciting because we get to be the provider that connects the communities to free Internet access." She continued: "Isizwe, moving forward, continues to advocate; we continue to be a project manager for all free WiFi developments and continue to be a consultant on how to subsidise and sustain free WiFi networks."